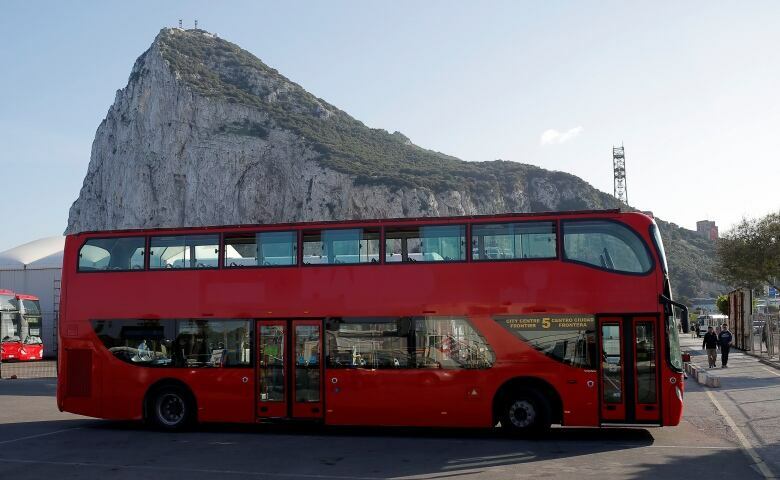 Britain and the European Union have agreed on a draft text setting out a close post-Brexit relationship, but wrangling with Spain over control of Gibraltar must still be settled before EU leaders meet on Sunday. 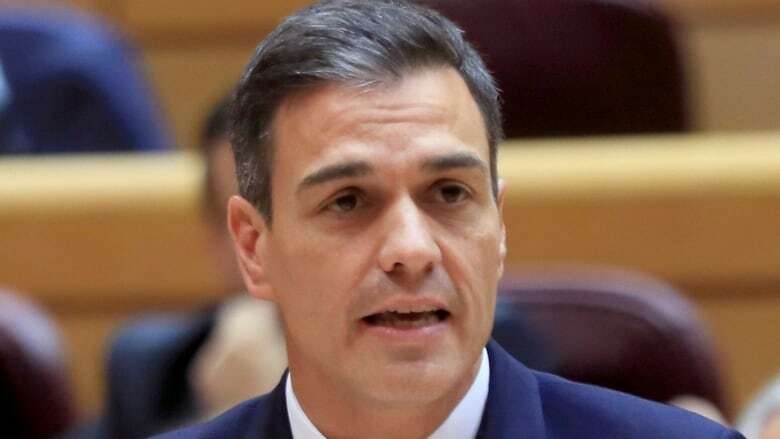 Spanish Prime Minister Pedro Sanchez said on Thursday his country will veto the draft deal on Britain's exit from the European Union if there are no changes made. "After my conversation with [British Prime Minister] Theresa May, our positions remain far away. My government will always defend the interests of Spain. If there are no changes, we will veto Brexit," Sanchez said in a tweet. Spain wants it made clear in the text of Britain's 26-page draft political declaration with the EU on post-Brexit relations that both the U.K. and Spain must agree with decisions regarding the peninsula of Gibraltar — a British overseas territory located in the south of Spain over which Madrid has had a long-standing claim. Britain on a cliff edge: Brexit, bedlam or bust? Marco Aguiriano, Spain's secretary of state for the EU, has said he's worried the U.K. could negotiate various decisions with the EU and then apply them to the contested territory without necessarily requiring agreement from Spain. He said the declaration must be "crystal clear" in its language that any future relationship between the EU and Britain should take into account the approval of Spain. Last year's EU guidelines on the Brexit negotiations effectively gave Spain veto power over future relations between the bloc and Gilbratar, and the Spanish government says it will vote against the Brexit deal if Gibraltar's future isn't considered a bilateral issue between Madrid and London. Spanish Prime Minister Pedro Sanchez said on Tuesday that his government "cannot accept" Gibraltar's future being determined by negotiations at the EU level. On Thursday, May said she had spoken with Sanchez and was confident that on Sunday — when EU heads of state and government are to meet in Brussels to approve the declaration and a separate divorce deal — they'll be "able to agree a deal that delivers for the whole U.K. family, including Gibraltar." Facing fierce opposition from parliamentarians of all political stripes, May told the House of Commons on Thursday that the newly agreed-upon draft declaration with the EU will ensure the U.K.'s "smooth and orderly" departure from the bloc. Labour Party Leader Jeremy Corbyn slammed the draft text as a concession-riddled "leap into the dark" — calling it "the blindfold Brexit we all feared" — but May defended the document as a deal that will help protect jobs, avoid a hard border with Ireland and allow for the U.K. to forge new commercial agreements with other countries. The declaration on the future relationship was agreed upon at a technical level by negotiators and endorsed Thursday by the European Commission, the EU's executive arm and the body in charge of Brexit negotiations. It appeared to pave the way for a weekend EU summit to rubber-stamp the deal. "This is the right deal for the U.K.," May told reporters outside her 10 Downing Street offices. 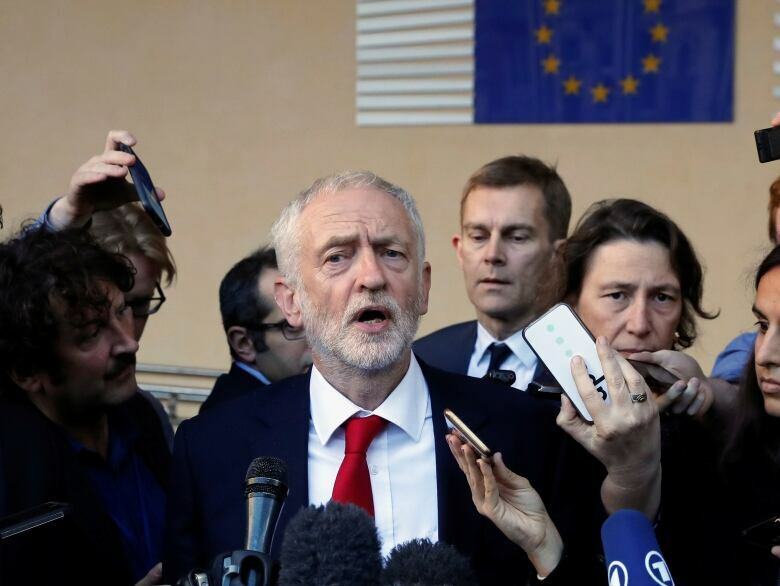 But in Parliament, Corbyn and other MPs warned that, if accepted, the draft text would force Britain to accept rules and court rulings set by Brussels — without any recourse. 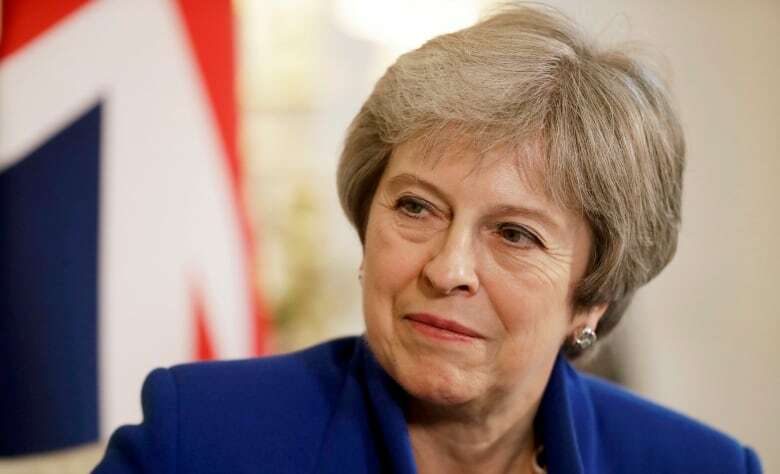 A spokesperson for May said she believed she could win a critical vote in parliament on the deal, expected next month, but many of those she needs to persuade appeared unconvinced. Some fellow Conservatives seeking a cleaner break from the EU accused her of "betraying Brexit" while Corbyn called the outcome of the negotiations "the worst of all worlds" for keeping Britain linked to the vast EU market but without a say in its rules. 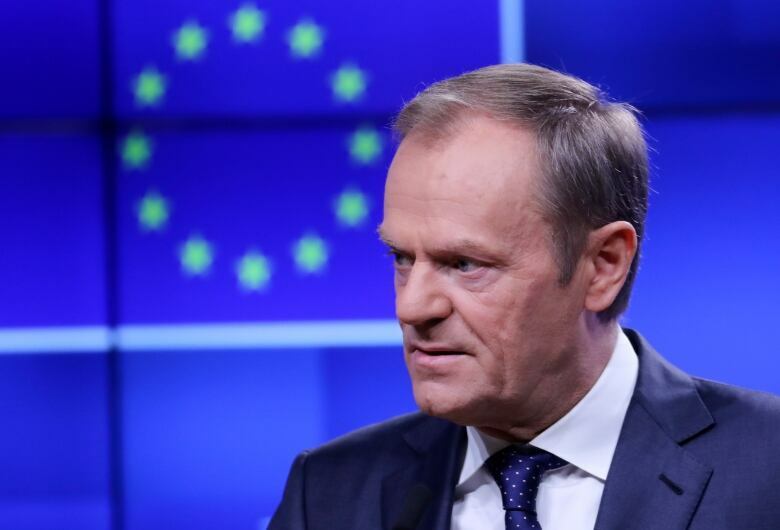 European Council president Donald Tusk, who chairs meetings of EU leaders, said Thursday the draft declaration still requires "the endorsement of the leaders." EU heads of state and government are due to meet in Brussels on Sunday to approve the declaration and a separate divorce deal. May is set to return to Brussels on Saturday for more talks on the eve of the summit, including with European Commission president Jean-Claude Juncker. Britain officially leaves the EU — the first country ever to do so — at midnight on March 29, but a Brexit deal must be agreed on in coming weeks to leave enough time for the European Parliament and the U.K. Parliament to endorse it. As opposed to the withdrawal agreement, the draft declaration on future ties is a political, not a legal, text. "This declaration establishes the parameters of an ambitious, broad, deep and flexible partnership across trade and economic co-operation, law enforcement and criminal justice, foreign policy, security and defence and wider areas of co-operation," according to the document. It also talks about close economic ties and integrated supply chains that have developed and been cemented since Britain first joined the European Economic Community — a precursor to today's 28-member EU — in 1973. The document notes that the "parties envisage having a trading relationship on goods that is as close as possible, with a view to facilitating the ease of legitimate trade." The actual legal text will have to be negotiated after Brexit on March 29, and that could well be even more complicated than what has come so far. In a speech in Berlin before Tusk's announcement, German chancellor Angela Merkel underlined that "Britain should remain a partner, remain a friend." Though Britain "should have very close economic relations with us," Merkel did underscore the difficulties that may arise in any attempt to keep services seamless. "We have to say honestly that in the services sector we don't have a great deal of experience with international free trade agreements," she said. "But we want to see that as a future relationship." A previous version of this story stated that Britain first joined the European Economic Community in 1963. In fact, it joined in 1973.